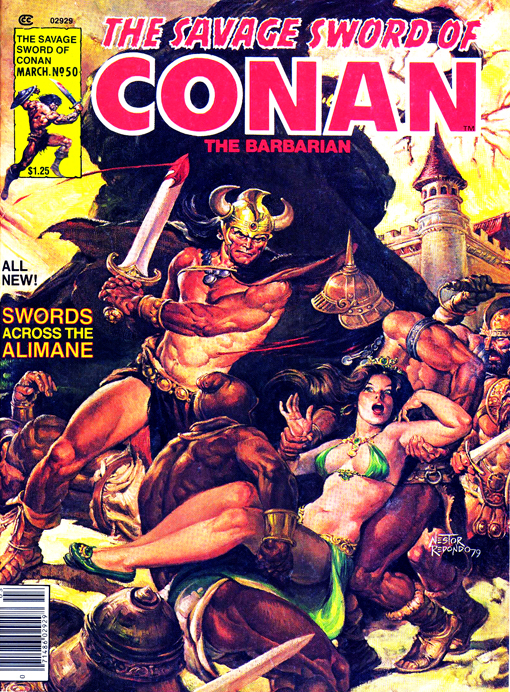 Synopsis: The feature story in this magazine is Part Two of Marvel's adaptation of Conan The Liberator, a novel written by L. Sprague de Camp and Lin Carter featuring Robert E. Howard's seminal sword and sorcery hero. The story was first published in paperback by Bantam Books in February 1979. Hostess Fruit Pies Ad: The Hungry Battleaxe!